Is Upsizing Right For You? Life changes can happen quickly. Perhaps your family has expanded or you are planning to grow your family in the future. Sometimes it is as simple as needing more space as children grow up or wanting additional space for aging parents who need to be cared for. Not all homeowners who want to upsize have children or aging relatives – some just want the luxury of more space or want to retire in a larger home. Whatever your personal experience may be, upsizing is a good option if you want or need more space. 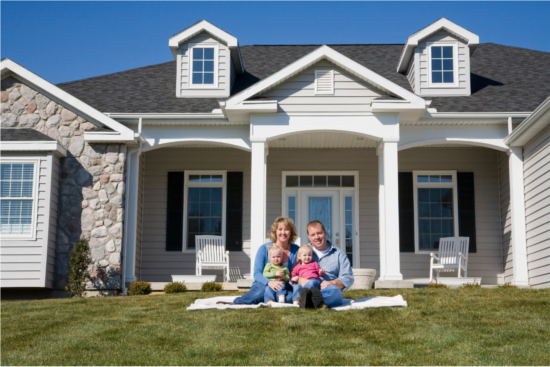 Growing family or the potential of a growing family: If your family is growing, or if your starter home is becoming less than comfortable, then upsizing to a larger home can be the most comfortable choice for you and your children. Lots of family. And they live far away: In some cases, a family or a couple have lots of family but they live far away. If your lifestyle is one in which you welcome many out-of-town visitors, you may like to have a guest room or two so everyone stays comfortable during visits. Change in income: If financially, something has changed for you - If you have received a generous bonus, won the lottery or finally got that promotion you’ve always wanted, then you may have some extra cash to upsize. Upsizing can be a wonderful option for those whose lifestyle and finances it suits. Discuss with your real estate professional to view your many options.